John Gwynne Bassett was born 1901 in Somerset the son of Dorcas and Theodore Wailsford Bassett. His family moved to Paget where he received his early education. He showed some aptitude for and interest in working in business. He opened his first establishment on Angle Street West in Hamilton in 1915. He later sold the business and worked on the Ocean Liner M.S. Bermuda working as a short Order Cook and during that time studied Business Management and Salesmanship at City College Manhattan N.Y. He secured a pedlar’s licence and walked the Island for two and half years selling his merchandise. In 1934 he purchased the Colonial Mineral Water Factory from his relative William F. Wilson & sons and operated at the Victoria Street location for a two years before moving the business to Marsh Folly Road in Pembroke. John renamed the business John G. Bassett & sons . John left his son and cousin Leverson (Louie) Wilson son of William F. (Willie)Wilson Sr and Archibald Wilson grandson of (Willie) Wilson to operate the business. In 1938 he built a two-story business on the corner of Court & Dundonald Streets. He founded an Electrical and Supply store in 1940. John was not afraid to step out into the mix when he felt things were not going right within the Island where he lived. So he spoke out against and prevented the passing of a law prepared by the House of Assembly in 1938 which would have allowed the sterilization of mentally defective citizens. Because of this stance and the racial establishment at that time he was forced to sell part of his land because of his outspoken political views. This set back did not deter him and he soon relocated his family and established his Dry Goods store in the Bassett building currently located at 42 Court Street, in Hamilton. John was an avid lodge man serving with the workingmen’s Aid and Ladies of Industry and helping Society later serving as a Trustee. The Lodge which was located in Alaska Hall is now the head quarters of the Progressive Labour Party. His passion for education was such that he spearheaded a move to get a school for Hamilton Parish and subsequently Francis Patton was built. He became President of the Pembroke Hamilton Political Association from 1924-26. He also became a member of the board of Trustees at King Edward Memorial Hospital. 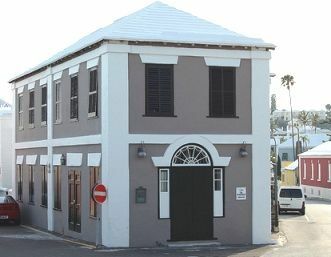 He was Secretary of the Cottage Hospital associated with the Bermuda Nursing Association that assisted black women desirous of working in the nursing field. He eventually became the first black board member of the Trustees of the King Edward Memorial Hospital. In 1963 he was honoured by the Queen for his many contributions to the Island. He was a member of the St. Paul A.M.E. African Methodist Church where two of his daughters were Sunday school teachers and active in other organizations of the church. John G. Bassett Sr. died April 4, 1990. Well done thy faithful servant a man who never gave up his dreams. 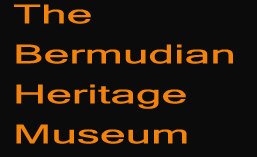 Researched and submitted by Joy Wilson-Tucker (see our historical Calendar) Bios of Black Bermudian produced and published in 2009 by the Executive of the Bermudian Heritage Museum.